First impressions last – so it’s important that your business premises always look their best for visiting clients & investors. At DSB Cleaning Services, making you look good is our specialty! 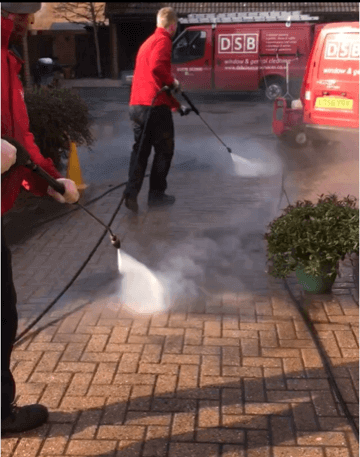 We offer a complete range of exterior cleaning services that can be tailored to your individual needs & that keep your workplace sparkling all year round so you’re looking great even for those unexpected visits. We are a family-owned company who at excels at commercial pressure washing, and giving companies the face-lift they deserve. What First Impression Does Your Business Give? 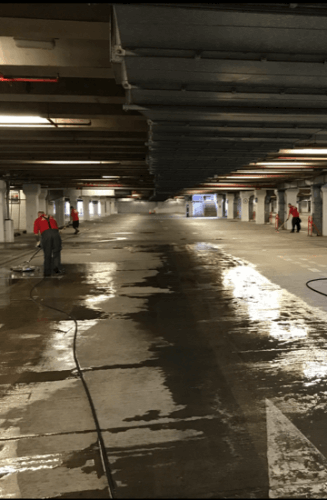 DSB Cleaning Services has over 25 years’ experience in commercial pressure washing. 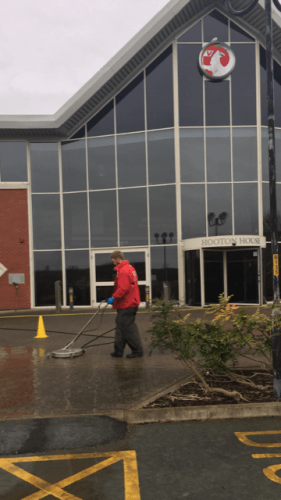 Our commercial pressure washing services can have a huge impact on the entrance to your building. In just a few hours, the whole area can be transformed – the moss and slippery algae washed away along with the dirt and grime of everyday use. We can even schedule regular cleaning so that your building never looks dirty again. Let us worry about it for you! Commercial Pressure Washing To Give The Best Impression! In this day and age, looking good is everything. Let DSB make your appearance our priority. Remember when you first moved to these premises and how in your mind’s eye everything was sparkly and new? Make that a reality! Commercial pressure washing can make your property look brand new. Whatever the condition of your premises, call DSB Cleaning Services now on 01978 352900 for a FREE quotation. 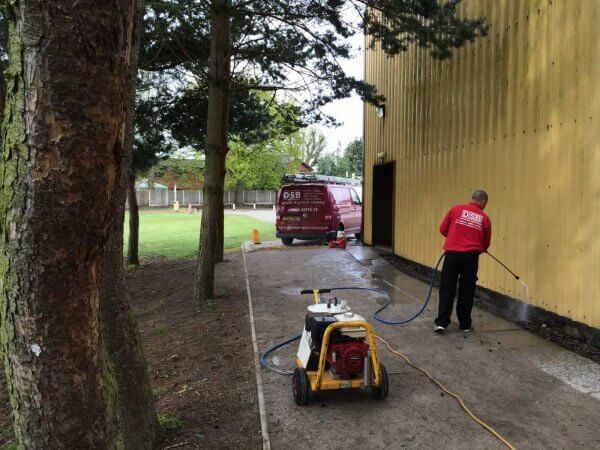 Our commercial pressure washing services are available to businesses all across the North West including Wrexham, Chester, Ellesmere Port, Llangollen, North Wales, Oswestry, Ruthin, Mold, Denbigh, Rhyl, Northwich and Runcorn.